Hello everyone! 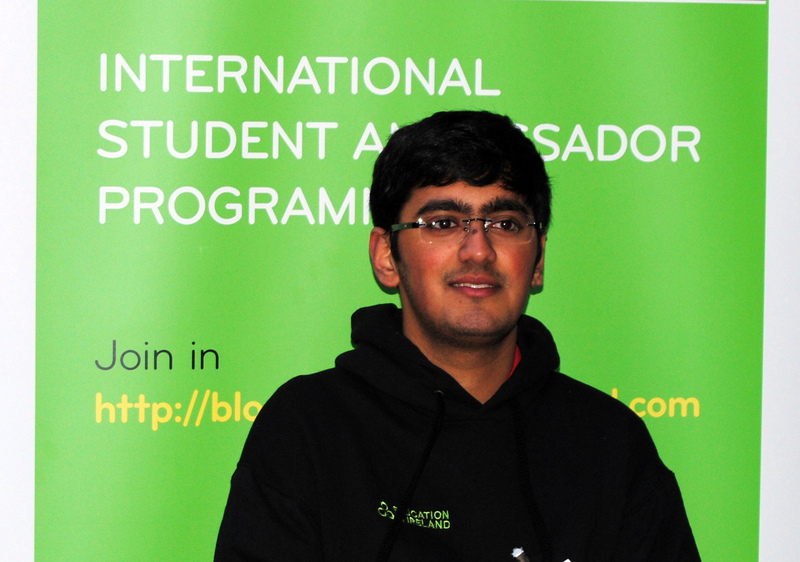 My name is Raj Shah and I’m a first year undergraduate student studying Electronic and Computer Engineering at the University of Limerick. I come from New Delhi, the capital of India. This is my first year in Ireland as a student and I couldn’t have asked for a better first semester! The country is beautiful, as you know and is so green! Lush green environments and fresh air, so different from a congested city like New Delhi. The people are very friendly and hospitable. Ireland’s culture, food and weather has been a new experience for me and I’d be wrong to say I haven’t enjoyed it. The University is amazing as well and so are the professors and lecturers. There is always assistance and help if needed. There are a number of clubs and societies (70, to be precise! Do check out UL Wolves) where I’ve met some amazing people and made great friends. I also chose to live on campus and I don’t regret making that decision. As my fellow ambassadors would agree, UL is very kind-hearted and obliging to their international students, and will go out of their way to make sure you feel at home.